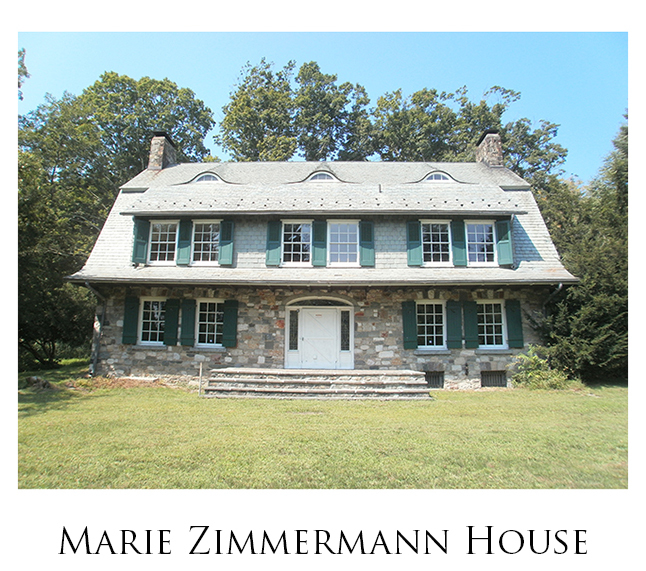 Welcome to Friends' expanded site on Marie Zimmermann's legacy as seen through the lens of our restoration and house tour experience in recent years at the Marie Zimmermann Farm in the Delaware Water Gap National Recreation Area. 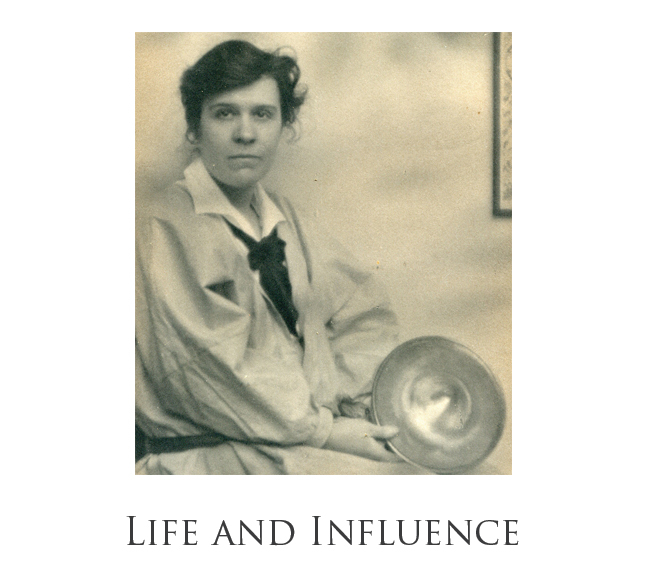 Marie (1879-1972), a remarkable individual, grows up in Brooklyn, takes courses at Pratt Institute, becomes between 1900 and 1940 a nationally-acclaimed and prolific producer of jewelry and metalwork, and then moves to her beloved Pennsylvania property in a last fulfilling phase of a long and dynamic life. 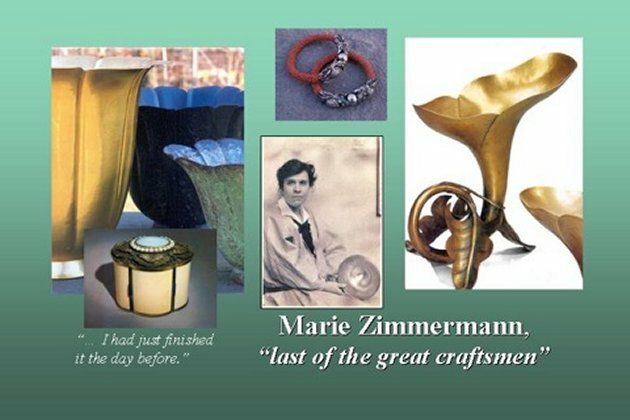 Our intrigue with Marie Zimmermann begins with her strength with her father as a young woman in insisting on becoming a metalsmith, continues in her long commitment to this artistry with its ultimate and extraordinary achievements, and finally is magnified by her many displays of character and caring toward the world and people around her (mostly anecdotal as she did not write much about herself) ... 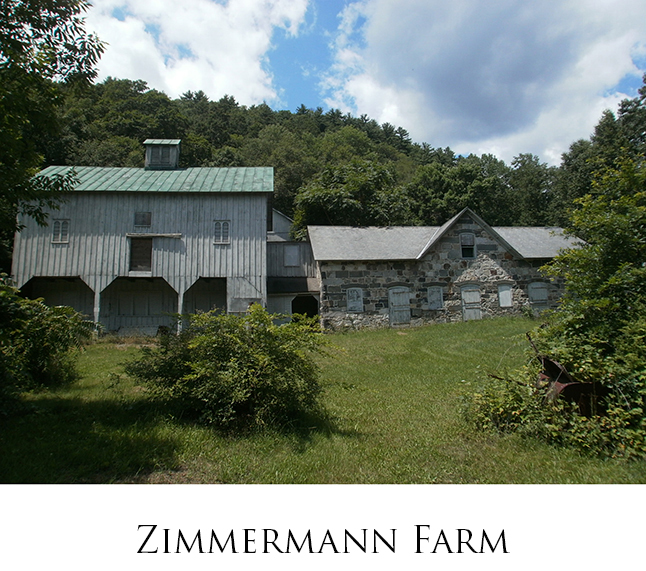 These dimensions are why Friends believes Marie is an important American example and that Marie Zimmermann Farm on federal property deserves to become a National Historic Landmark. 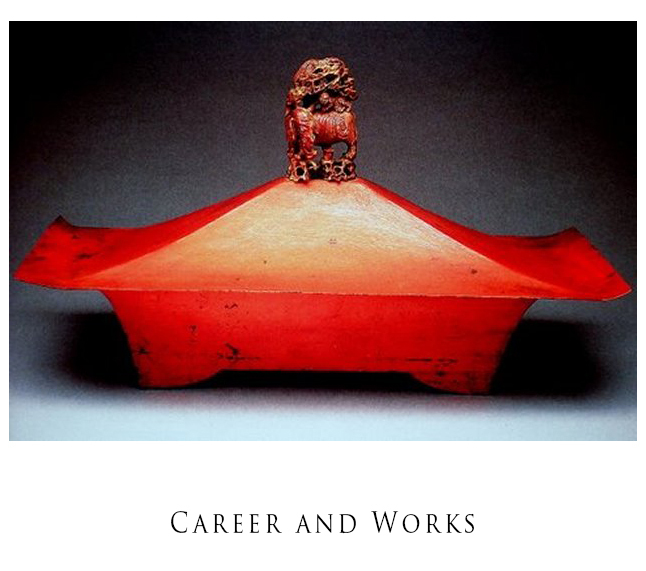 Our website is arranged in four sections: Life and Influence, Career and Works, Zimmermann Farm, and Marie Zimmermann House. A Table of Contents has been included at the head of each section. Further study is encouraged with the scholarly and beautiful 2012 book, The Jewelry and Metalwork of Marie Zimmermann, by the American Decorative Art 1900 Foundation, Yale University Press, available from Amazon.com, or at the Pike County Public Library in Milford, PA. Another good source is the National Park Service website.